Now that the days are getting darker quickly, it means I have to bake early in the morning – which is of no complaint, I just have a brownie brunch 😉 – but the temptation of a lovely treat at the end of early morning activity is always a good one. Now you may be thinking ‘these brownies look very familiar…’ and yes they do, in fact they are the updated version of my Coffee Caramel Sweet Potato Brownies but with a Christmas twist – it was going to happen a some point! 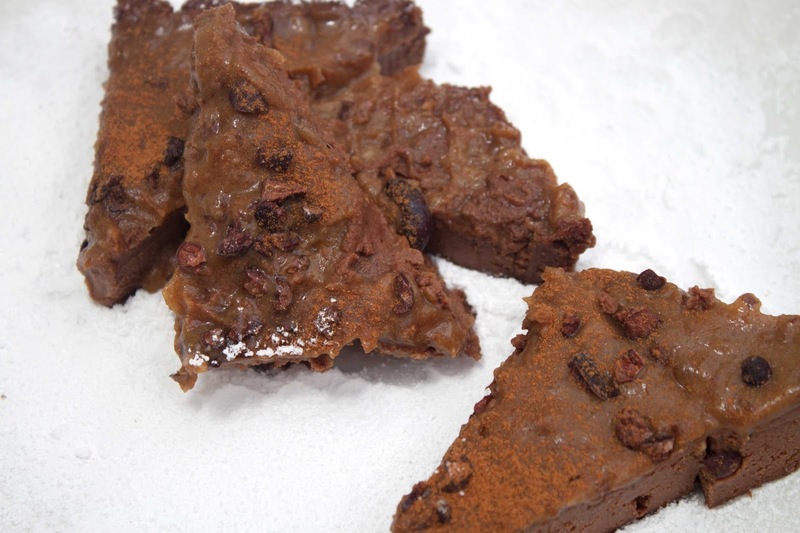 Christmas flavours are my absolute favourites, and this brownie is packed with cinnamon and spice to make you feel all festive, whilst being healthy. Hells yes. I even got a little bit crazy and jazzed up the caramel sauce with some Stem Ginger Curd from Marks and Spencer’s Christmas Range*, but that’s just a sneak peek of what’s to come…. 1. 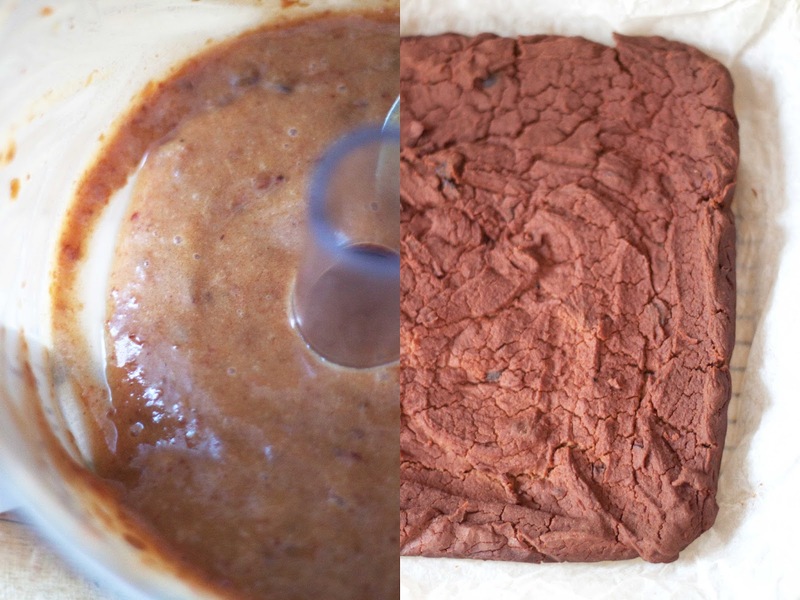 Preheat your oven to 200°c, and line a baking tray with parchment paper ready for your brownies. 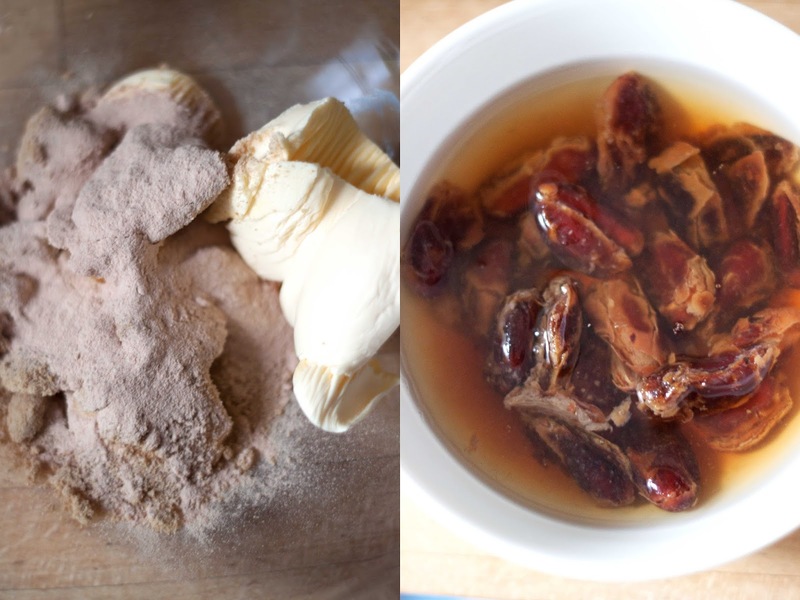 Whilst you bake, let your dates soak in hot water to become soft and easy to blend. Cut your sweet potato into cubes and boil until soft, allowing to simmer off the heat. 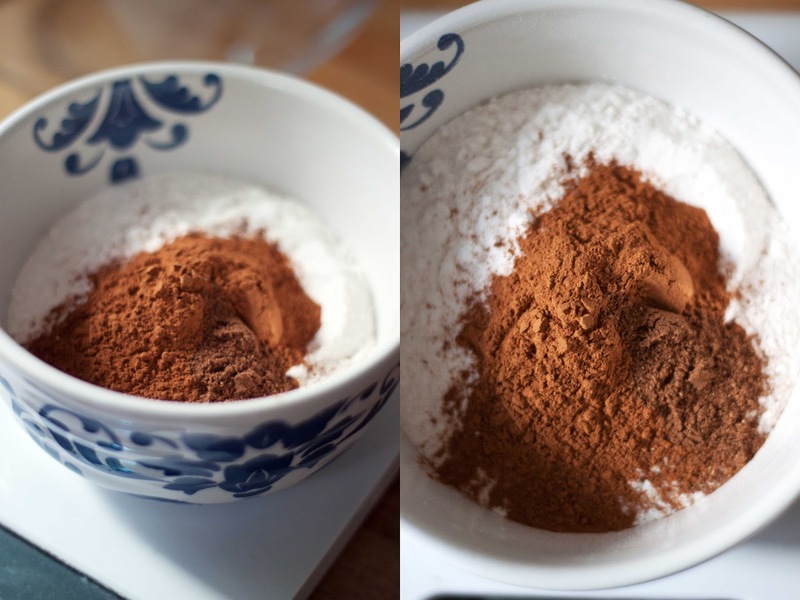 Weigh out all your dry ingredients into a bowl and set aside until mixing, and in a large mixing bowl, cream together the sugar, butter and lucuma powder. 2. 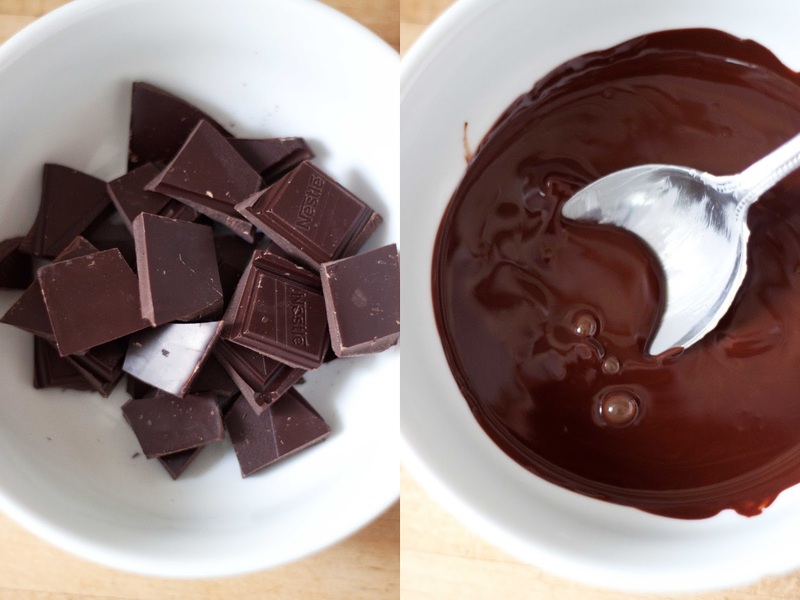 Melt your chocolate on a medium heat until liquid and stir in the cacao nibs. 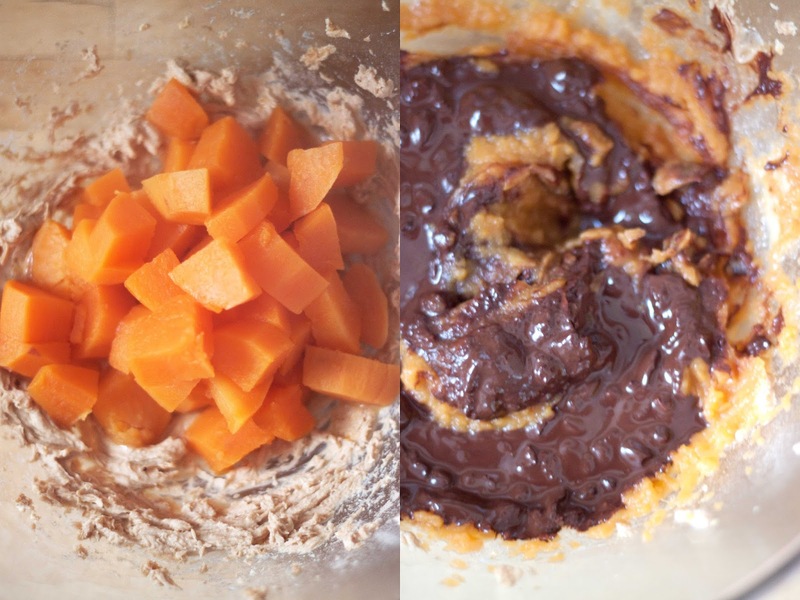 Transfer the softened sweet potato to the creamed sugar and butter and whisk until combined, then stir in the chocolate until it looks exactly like brownies – you’re vegetable fearing friends will never know! 3. Sift in half the dry ingredients, and fold until combined – if the mixture looks to thick or dry, add in about 4-5 Tbsp milk to loosen before combining the remaining dry ingredients. Add milk until a stiff but workable consistency. 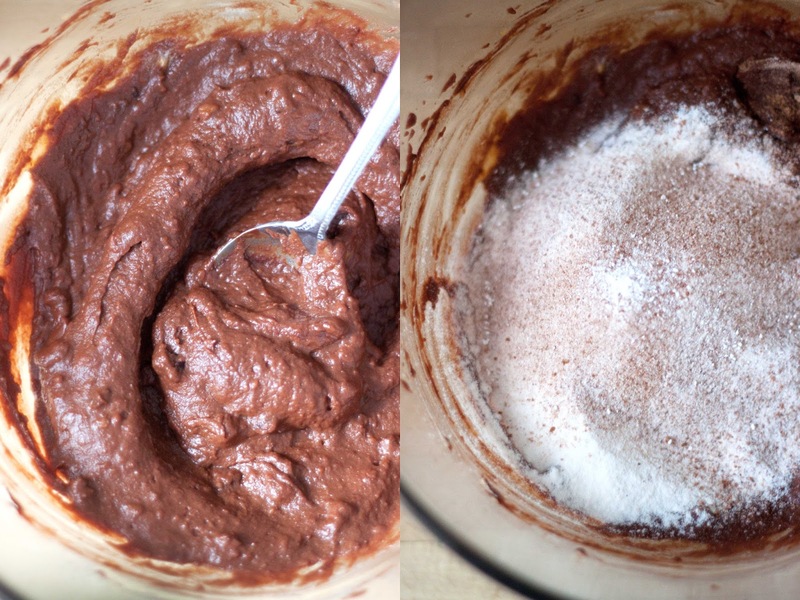 Pour the mixture into the baking tray and bake for 15-25 minutes – you want a nice fudgy bake! 4. Whilst the brownie bakes, drain the dates and blitz in a blender until slightly chopped. Add in milk to help create a syrup from the blitzed dates, and keep pulsing until smooth. Add in 2 Tbsp of Stem Ginger Curd and a shake of cinnamon, and stir in before leaving to one side to set. When the brownie is baked, transfer to a cooling rack and allow to firm up. At room temperature, pour on the caramel and spread evenly, topping with a sprinkle of cacao nibs and dusting of cinnamon to serve! How gooooooood do these look?! – they taste even better I assure you. The fudgy texture the potato gives is insane, and yes it can make them a little less sturdy, but the sticky soft square is a perfect little treat after lunch or dinner (or both) plus it has all your good carbs and ingredients that are kind to your body, so you can kinds forgive the little fella for being squidgy. The blend of cinnamon, ginger and mixed spice is on-point – a festive explosion of flavour that will be perfect for you to serve at any party you go to this year or after Christmas dinner. If cinnamon isn’t your think, maybe switch up the milk and spice for rum and raisin with a hint of orange, the possibility of brownie flavour combos is endless! Make your darker-earlier Christmas days more bearable by whipping up some of these bad boys, and you’ll be more than happy to curl up on the sofa earlier with one of these on your plate. 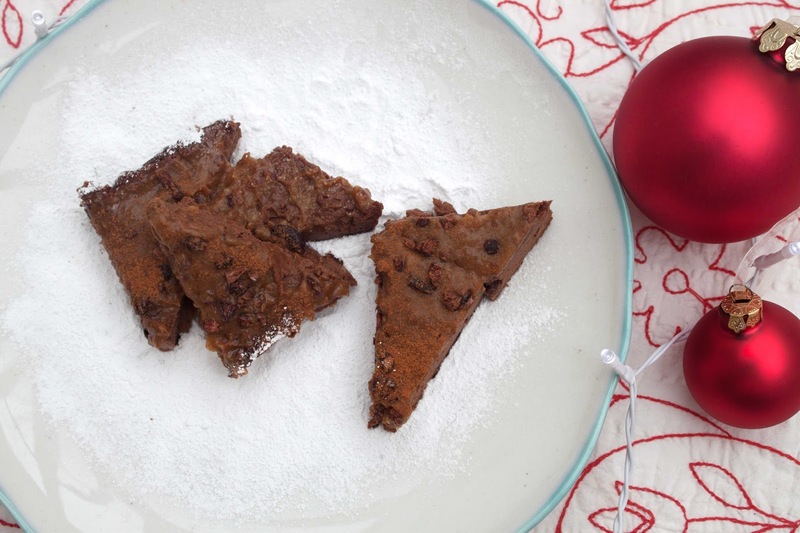 Are you loving the cinnamon and Christmas inspired food this season? Have you tried M&S Christmas food? What’s your go-to festive treat? This post contains product samples sent for review. All opinions expressed are mine and do not reflect those of the company. Please see my full disclaimer for more.